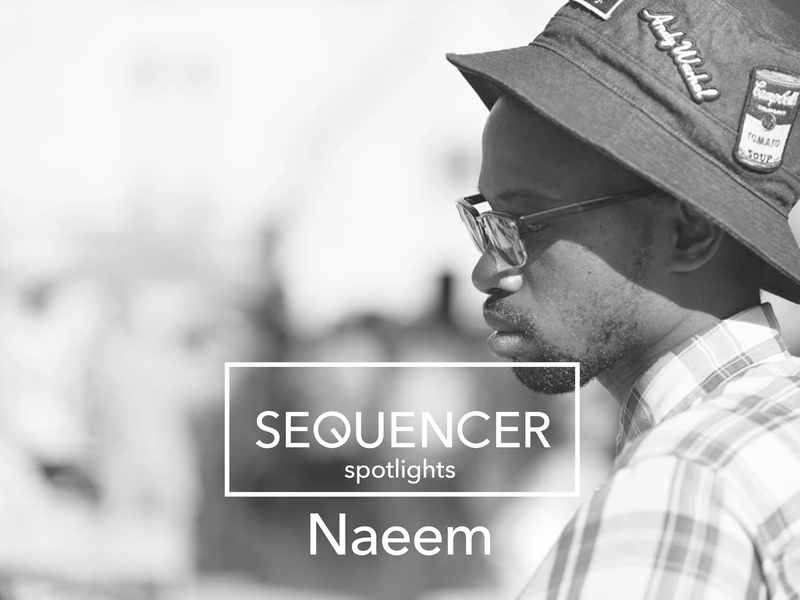 Well-spoken and quietly humble, it is fair to say that Naeem Martinez is becoming increasingly enamored by art and music as time passes. Now based in Pittsburgh, he was born and raised in Harlem where his mother introduced him to the world of fine art in New York City. Martinez is a DJ, producer, and member of Pittsburgh-based label DETOUR. His interest for DJing piqued upon arriving to the City of Bridges when he found himself tuned in to Carnegie Mellon’s radio station WRCT. Specifically, he was exploring the sounds of rap and hip-hop on “What’s Really Good Radio” – a Monday evening show run by DJ Thermos and Shawn MC. As he became more exposed to rappers and MCs that he had never heard of “like the Monster Island Czars and Binary Star” his inspiration grew. “With my head full of ideas after listening to WRGR for a few weeks, I joined WRCT in hopes of having a show and DJing. I went through the proper channels of becoming a member at the radio station and took the required AIR test (which took me four times to pass),” he says. Two years later in his spring semester of 2011 he started his show “Side A, Side B”. Eventually he joined DETOUR in 2012, just before the label’s first event held at 6119 – an art gallery and performance space located on Penn Avenue. The label began under the efforts of Juan Lafontaine and Alex Price, who Martinez met through WRCT. “Juan approached me about DJing this party during one of my late night practice sessions at the WRCT and I of course said yes,” he says. That first party in September 2012 featured music from Naeem, Gusto, Mirko Azis, and Mr. Sensitivity. DETOUR hosts events on the third Saturday of each month at Hot Mass. Although a techno label, their bookings reflect an eclectic taste for sound and energy. Their parties have seen the likes of Umfang, HUNEE, Analog Soul, Doc Sleep, Gunnar Haslam, Aurora Halal, Lena Willikens, Patrick Russell, and Norm Talley, just to name a few. Earlier this month DETOUR celebrated a five-year anniversary with Courtesy and Olin at Hot Mass. A Weekend Send day party celebration followed at the Ace Hotel with more from Olin, Elvin T. and sets from label residents Cosby and Naeem. Whether it be through curation and creating artwork through DETOUR, cultivating his sound as a DJ, or simply enjoying it all amidst the crowd on the floor, Martinez’s appreciation for his journey through music and art simultaneously expands while his passion for the craft deepens.